Congratulations to Eirini Karamouzi who has won a Sheffield Students’ Union Academic Award in the category of Best Feedback. 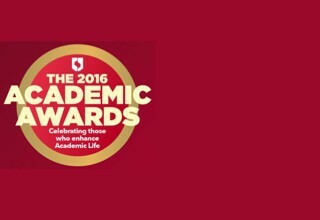 The annual Academic Awards, run by the Students’ Union, celebrates those who have enhanced Academic Life at the University of Sheffield. This entry was posted in News and tagged Academic Awards, Eirini Karamouzi on May 20, 2016 by Alice Johnstone.